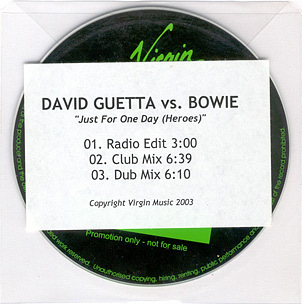 Just For One Day (Heroes) (Radio Edit)/Just For One Day (Heroes) (Extended Version)/Distortion (Maxi Vocal Remix) (by David Guetta). 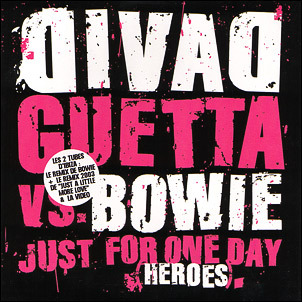 Just For One Day (Radio Edit)/Just A Little More Love (Wally Lopez Remix Edit) (by David Guetta)/Distortion (Vocal Edit Remix) (by David Guetta)/Just For One Day (Video). 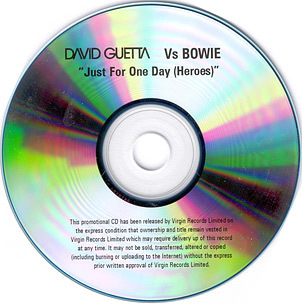 Just For One Day (Heroes) (Radio Edit). 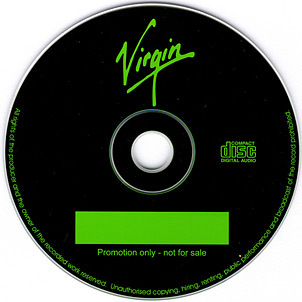 Promo CDR without catalogue number. 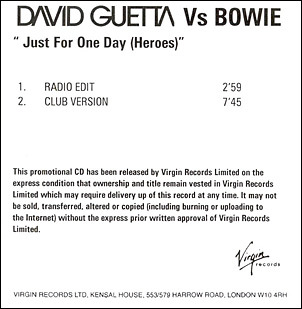 The Club Version is unique to this promo. Promo CDR without catalogue number. This is the only non-vinyl source of the Dub Mix.